In 1951, on the initiative of Leonard Heath-Humphrys, a small group of people met in Bristol to see if anything could be done to restore the Railway. This group included Allan Garraway who was later to become General Manager, a position he was to hold until 1983. 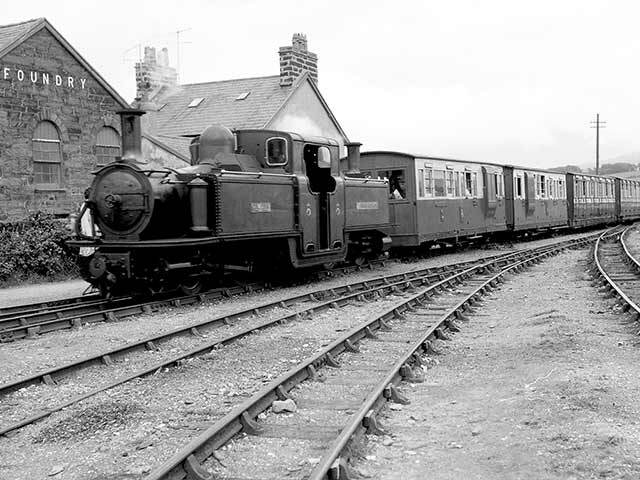 In 1954, after many difficulties, a controlling interest in the company was acquired by Alan Pegler, whose shares were subsequently transferred to a charitable trust - the Ffestiniog Railway Trust. Guided by a wholly volunteer board of directors, enthusiastic volunteers and a small paid staff set about rebuilding the line to Blaenau Ffestiniog. On 23 July 1955, after a formal Ministry of Transport inspection, a passenger service started from Porthmadog across the Cob to Boston Lodge, first with a small Simplex diesel and then with steam locomotive 'Prince', which had meanwhile been reassembled. In 1956 services were restored to Minffordd and in that autumn the double Fairlie loco 'Livingston Thompson', by this time renamed 'Taliesin', ran trial trips. Easter 1957 saw trains running to Penrhyn and in the summer a tremendous effort was made to get the track cleared to Tan-y-Bwlch, the service beginning at Easter 1958. Meanwhile, in 1954 the British Electricity Authority had produced a scheme for a hydroelectric power station near Tanygrisiau designed to boost the national grid at peak demand times. 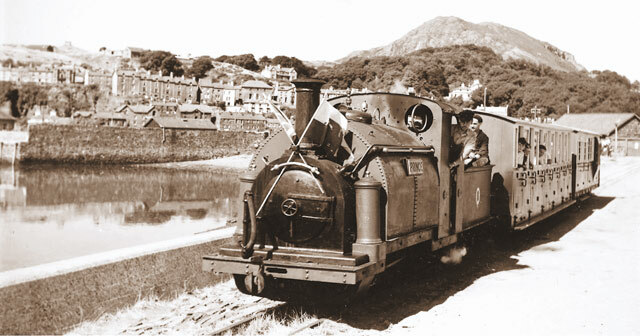 The Festiniog Railway opposed the Parliamentary Bill in 1955 because its route was to be flooded by the lower reservoirs of the scheme. At this time the Authority regarded the Railway's directors and supporters as mere amateurs 'playing trains' and compulsory acquisition of the line above Moelwyn Tunnel went ahead in 1956. 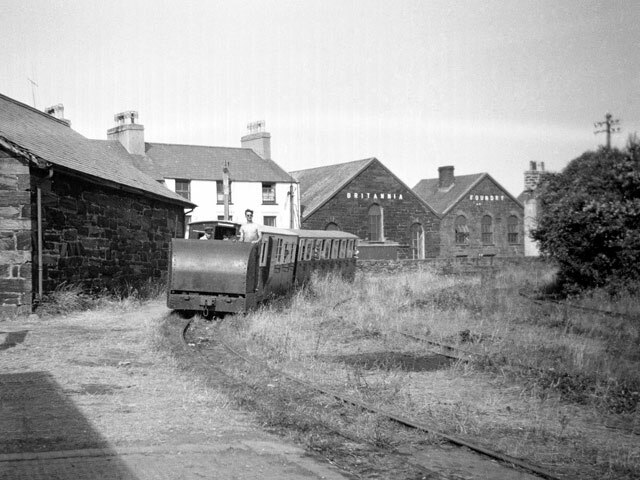 However, the company was determined to build back to Blaenau, so it decided to reopen the line as far as Dduallt, the last station before the reservoir (this was achieved in April 1968). By establishing its commercial and tourist value it would prove that it had a legitimate compensation claim and would then, somehow, reinstate a line around the reservoir. A key event in 1962 was the survey for a route on the east side of the reservoir which gained height by a spiral around Dduallt and rejoined the old line at Tanygrisiau by running over the crest of the Authority's dam. In 1964 the company and its supporters announced their determination to build this line with largely volunteer labour, no money and no plant, across land they did not own! To allow work to start on this Deviation, land was given to the Railway by the Economic Forestry Group and on 2 January 1965 the first sod was turned. Many of the 'Deviationists', as the workers on the project became known, had no interest in railways as such, relishing rather their weekend battles with stubborn rock and glutinous peat amid superb mountain scenery as a change from their full-time activities. 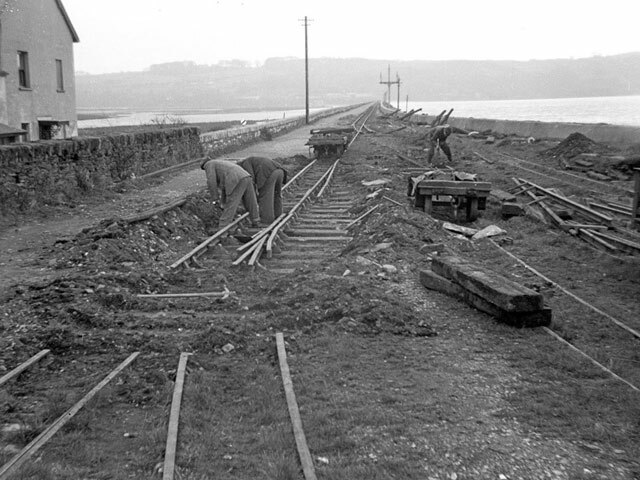 Meanwhile, on the working part of the Railway, traffic was growing steadily; all the existing carriages were overhauled, new ones were being built and much of the track was being relaid.